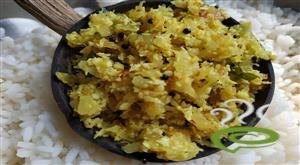 Kerala Brinjal Theeyal is a delicious and yummy vegetarian side dish for hot rice. 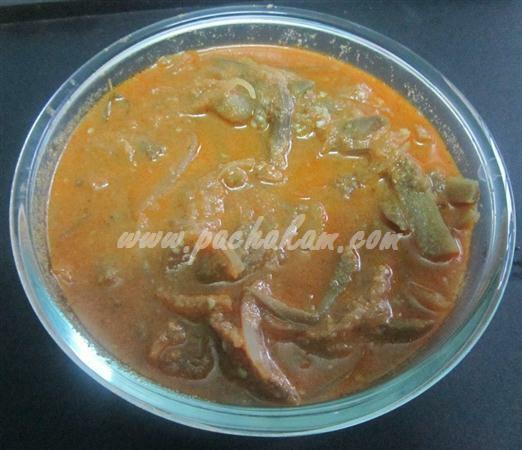 Kerala Brinjal Theeyal can be prepared in a jiffy with limited and naturally available ingredients. 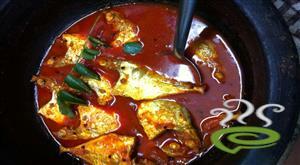 The pleasant spicy and tangy aromatic flavor of the curry dish is irresistible. 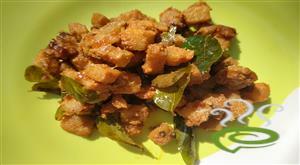 Kerala Brinjal Theeyal is unique and special with chopped brinjal cooked in a spicy aromatic fried coconut mixture and tamarind water. 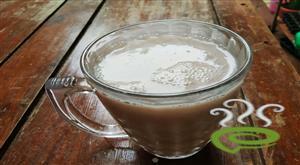 Brinjal is nutritious, rich in vital nutrients required for body. 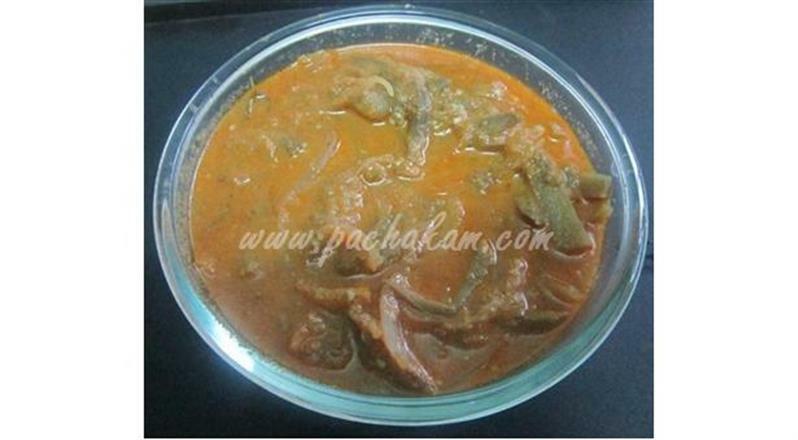 You can explore a well detailed Kerala Brinjal Theeyal here. 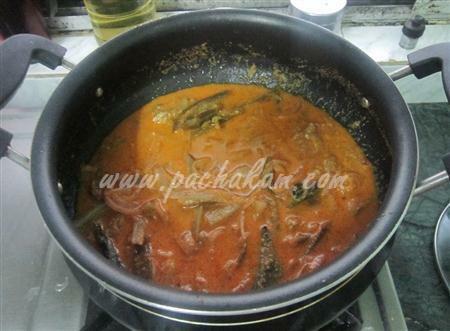 For preparing Kerala Brinjal Theeyal, first heat oil in a pan. 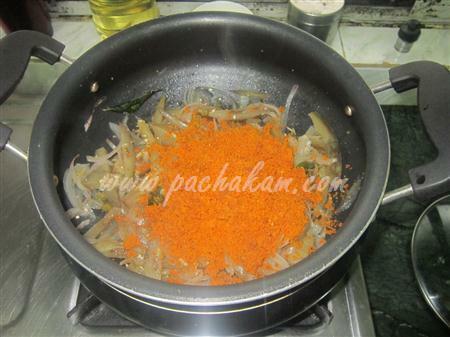 Fry madras onion, Jeerakam, Coriander powder, Chilly powder and grated coconut. 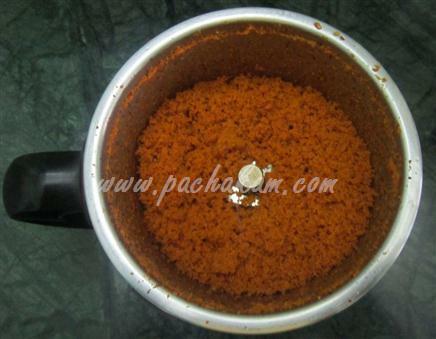 Grind it in mixer. Keep it aside. Heat oil in a pan. 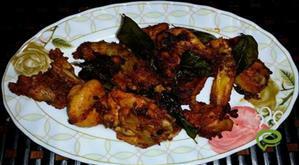 Fry curry leaves and green chillies. 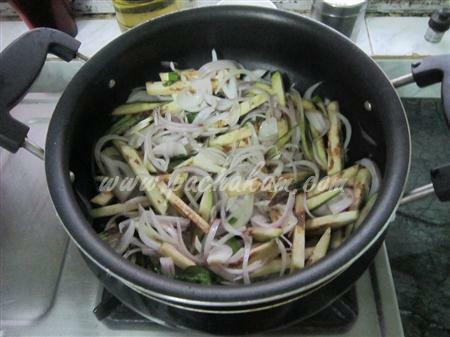 Add brinjal and onion into it. 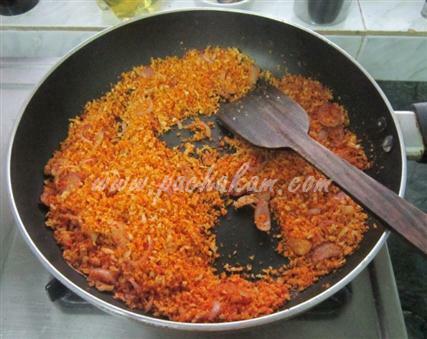 Add tamarind water also. Add the ground mixture to it. Mix well. 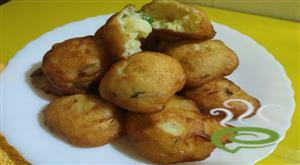 Kerala Brinjal Theeyal is ready.